A frameless 900 x 900mm square corner entry shower enclosure, made from toughened 8mm glass and finished with a stylish chrome frame. 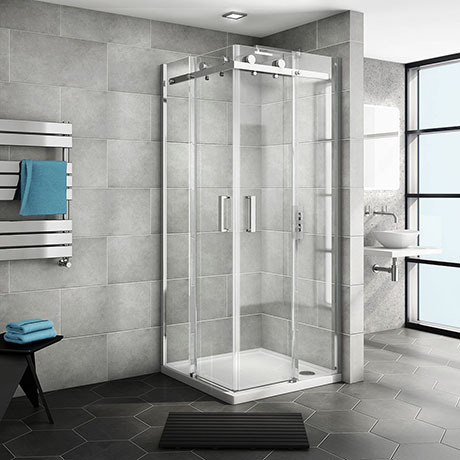 Perfect for smaller bathrooms with its unique cutting edge roller design sliding doors, as they don't swing open. This allows for a practical corner entry configuration. The Nova's sleek minimalist appearance will work well with any bathroom design.